On Thursday evening, just days after the Government announced the 2014 Federal Budget, the Leader of the Opposition, Bill Shorten, delivered his Budget reply speech at Parliament House in Canberra. His points were valid: some people are angry, and while some people are not shocked or surprised at the outcome, a lot of people are incredibly disappointed — at least is the sentiment echoed across social media. So we’d like to point you in the direction of this moving post (below) written by Facebook user Nhuy*. Nhuy posted this to her private Facebook account on Wednesday evening and it has since been shared over 600 times – and we can see why. Of course this is merely one young woman’s story, but we think it’s a valid one. Check it out for yourself. ‘I never really use Facebook to make long, heartfelt posts because I try not to bother people. I will this time, though, so here goes nothing. I’m sorry if there are typos and I’m sorry if I offend anyone… it’s like.. super late right now as I’m typing this. After the release about the budget, I’m really freaking out about the state of the country. LOL. Isn’t everyone? There was another time, when I was younger… in year 7, I guess. So, 11-12 or so? My little brother got very sick and we had to walk to the doctor’s. I clutched my mother’s green health care card in my hand like a lifeline because that flimsy plastic card was what allowed my little brother to see a doctor without the money we didn’t have. I remember I scrounged up 10 dollars that day so I could buy him cough medicine and have a bit left over for cough drops. I wonder what will happen to people in my shoes now that you need to pay money to see a doctor. Seven dollars means a lot to a family in need. At 16, I applied for Youth Allowance and got it! I was over the moon! I could buy groceries! I could help my mother pay for bills and going hungry would be a distant memory. If I was very, very lucky then I would have enough money left over to spoil my little brother. I cried in my senior year. I was worried I couldn’t go to university because I couldn’t afford the books. It was like a weight was lifted off my chest when I was told about HECS, about the extra bonus that would be used to pay for books. I couldn’t wait to go to university, to grow up and pay taxes (yes, yes… taxes) just so I could return the money to the country that has held my hand for so long. A country that protected me and allowed me the privilege of an education. I wanted to grow up and pay taxes so the money could be used to help other people in my shoes. WELL. That went out the flippin’ window. 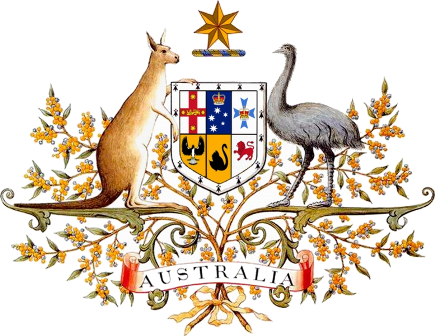 Australia’s coat of arms is a kangaroo and an emu. I thought this is because they are the two animals that are unable to take steps backwards. It was meant to show that Australia is a progressive country, and that it will always continue to move forward. Tony Abbott has ruined that. He’s ruined so many core aspects of being human, he can’t even be considered Australian. I refuse to consider him as such because no human being would destroy the lives of so many in the name of a surplus to fight against a crisis that isn’t even real. For as long as I can remember, I was proud of my country. I had faith in my country. I’ve lost that now and I blame him, I really do. It might be unreasonable of me to blame a single person or their political party, but… at night I worry about not being able to find a job straight after uni, of six months in limbo and having no money while I look for a job. I’m not a religious person, but I’m definitely praying to someone or anyone to put a stop to this. Guys, it’s not Facebook Likes that the government hears. That button does nothing but make people feel as if they’re doing something. It’s action, standing up and protecting your rights that gets you heard. It’s screaming (peacefully) at the top of your lungs that this isn’t right that gets you heard. I know I’m not alone in this. I’m one Australian of millions who will be affected by the cuts and changes proposed for the 2014 Budget, whose lives were made better by a government that helped provide for our education, that took care of us when we were ill and had nowhere else to turn to. They gave us a brighter future when all else seemed bleak, and now we don’t have even that. If you feel the same way – share your stories too, speak up. So we can reach out to others like us, to move others to action, to make a difference. *Republished here with Nhuy’s permission. How will the 2014 Federal Budget affect you? Do you have a similar story to tell? Share it with us below. Australia a country I love. However massively over priced property and a fast growing population of pensioners who will need funding by the young. Although Aus has had some common sense on migration they still have let in many unsuitable people for a first world country. Color is NOT an issue. As the world gets ever more competitive Australia’s will have to fund an expensive life against countries with cheep labor and resources . Also global warming which Australia is a major culprit for is going to hit Australia hard as Aus will become too hot to live. This is sad because Australia has the technology and location to become all but carbon free if it invested now. Good luck Australia in my opinion the next 50 years will end with the s*** hitting the fan like never before. This entry was posted in Opinion, Politics and tagged australia, budget, Opinion, politics. Bookmark the permalink.